Spray the inside of the crock pot with non-stick cooking spray. Combine the ground beef and red sauce. 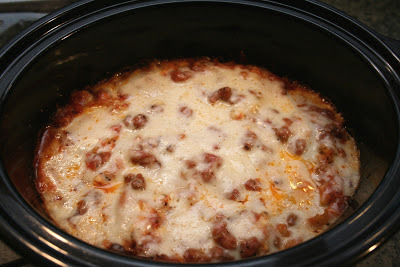 Combine the cottage cheese, Parmesan cheese, garlic powder, and 1 teaspoon of the Italian seasoning. 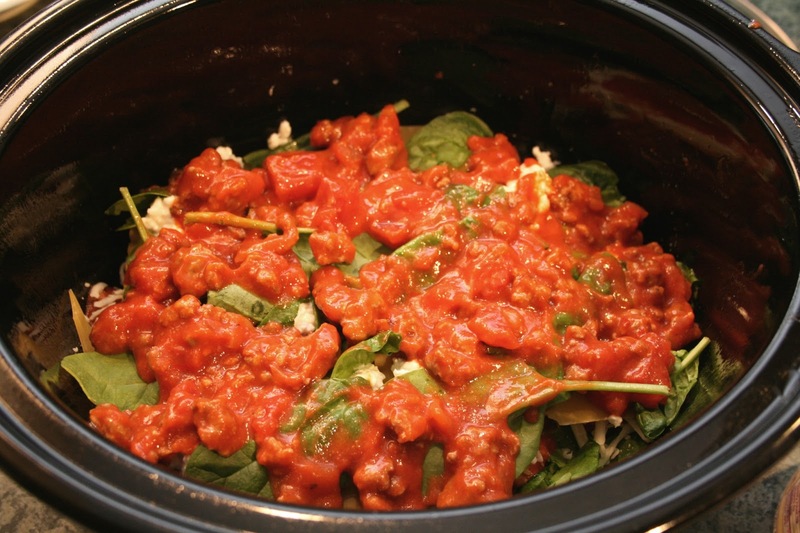 Spread 1/2 cup of the meat sauce on the bottom of the crock pot. Gently pour the water on top. Place noodles on top, breaking them up as needed to cover most of the crock pot. Usually takes about 3 noodles. Spread a third of the cottage cheese mixture on top of the noodles. 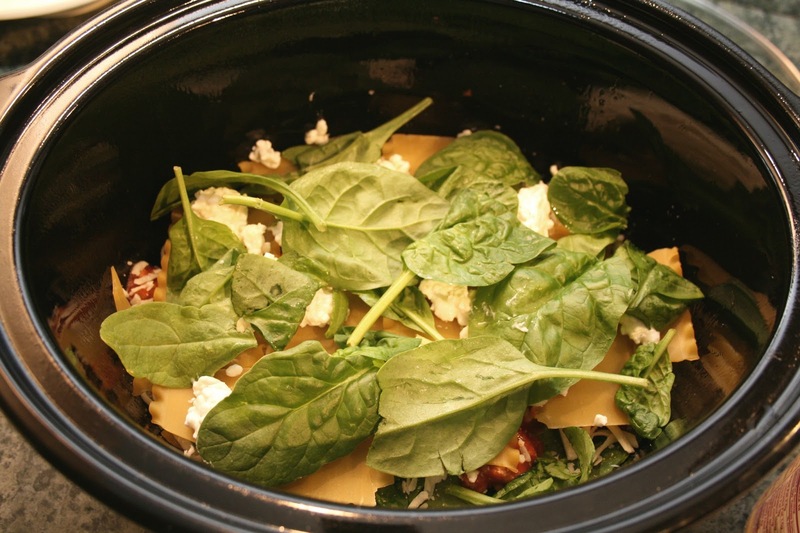 Sprinkle half of the spinach on top. Spread a third of the red sauce on. 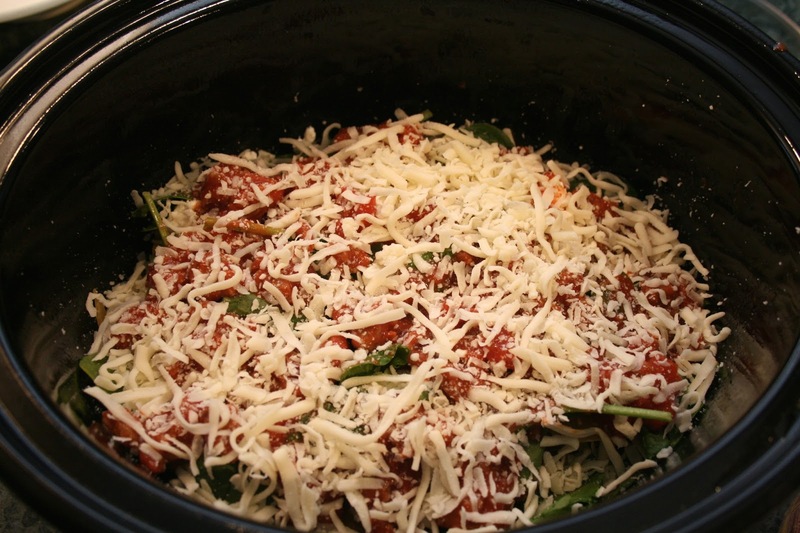 Sprinkle on 1/2 cup of mozzarella. 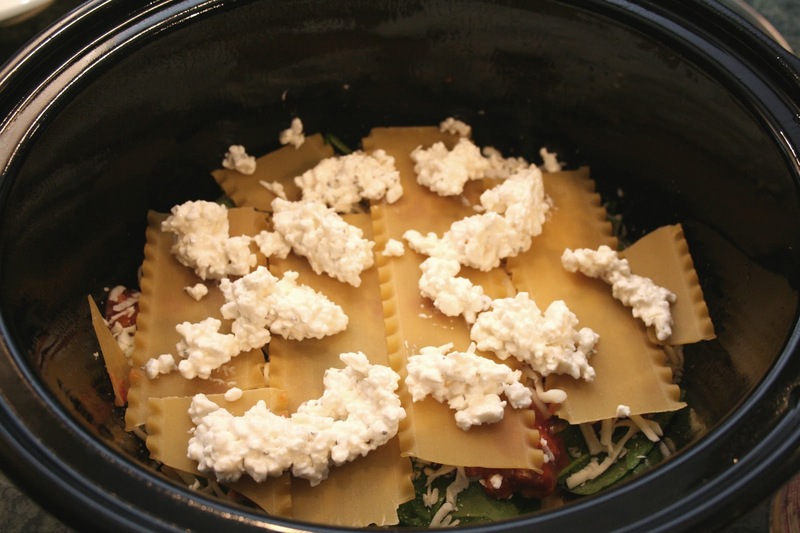 Repeat the layering process again: about 3 noodles, half of remaining cottage cheese mixture, remaining spinach, half of remaining red sauce, 1/2 cup mozzarella cheese. 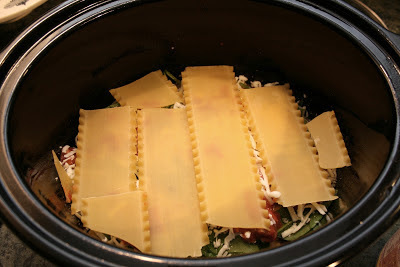 For the final layer place in remaining noodles (or whatever is needed to cover the top), remaining cottage cheese mixture, remaining red sauce, 1/2 cup mozzarella cheese. Cover and cook on low for 4 hours (if you need it to be in there a little longer, put it on warm after 3-4 hours until you're ready to eat). 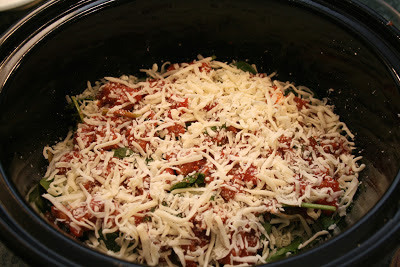 30 minutes before you're ready to eat sprinkle on remaining 1/2 cup of mozzarella and the 1/2 teaspoon Italian seasoning. 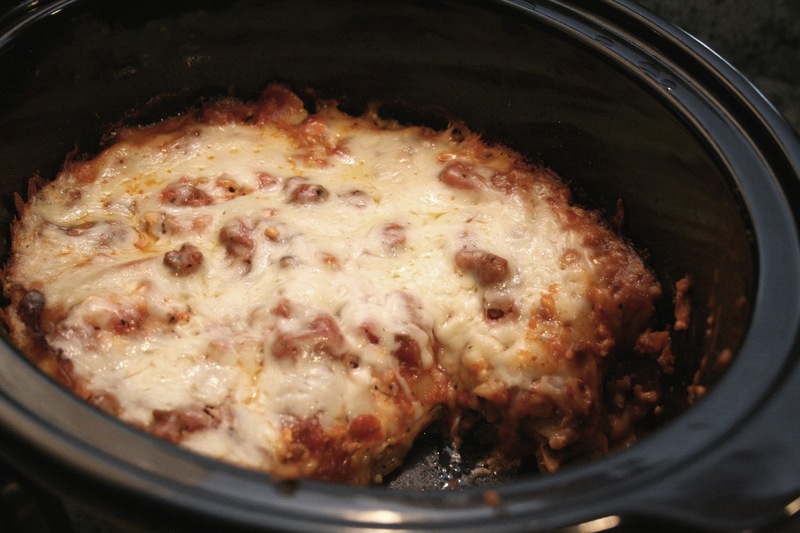 Let the lasagna stand in the crock pot turned off with the lid removed for 10 minutes before serving. 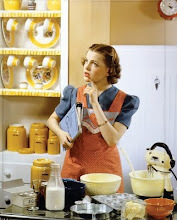 *I read one recipe where the lady needed it to be in the crock pot for 6-8 hours so she set her crock pot on high for about 45 minutes and then set it on warm for the rest of the time. I have not tried this, but I think it would work. 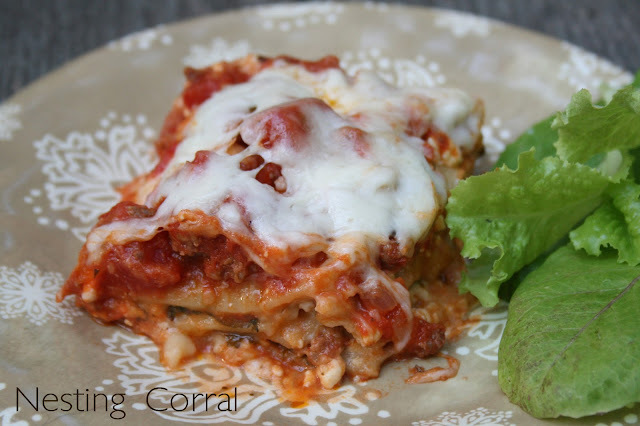 This lasagna is pretty fool proof.